Android Cloud SDK to create, encrypt, merge, watermark & convert spreadsheets via SDK. Process charts, pivot tables, & formulas. Excel spreadsheets are among the widely used formats for data logging, Identifying trends, book keeping, Budget planning, Data charting, Succinctly present fiscal results etc. It also an easy way for data collaboration but in order to manipulate / update Excel worksheet contents, Microsoft Excel or Microsoft Office Interop components are required to be installed on system. However when using Aspose.Cell Cloud SDK for Android, no software download or install is required. It is easy to get started with Aspose.Cells Cloud SDK for Android and all you need to do is create an account at Aspose for Cloud and get your application information. 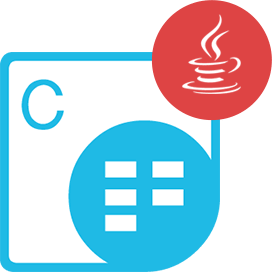 Once you have the App SID & key, you are ready to use Aspose.Cells Cloud SDK for Android and it also supports the capabilities to build cross-platform applications having the ability create, edit, and convert spreadsheets. 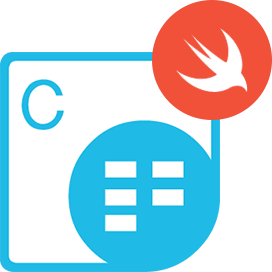 The SDK significantly speeds up the spreadsheet management and processing tasks is a mature, scalable and feature-rich approach, offering many functions that are way beyond the simple data exporting capabilities of other components available in the market. The SDK provides the capabilities to export data, format spreadsheets to the most granular level, import & export images, create charts & Pivot Tables, apply & calculate complex formulas, stream Excel data & save the result in various formats. Along with above mentioned features, it also enables you to extract data from the spreadsheets for further processing or storage. Aspose.Cells Cloud SDK for Android is available for Android 2.0 or above. 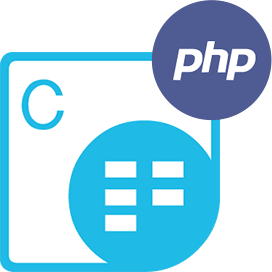 Aspose.Cells Cloud SDK for Android - supports the popular spreadsheet formats and most commonly used image formats along with industry standard fixed-layout formats. Aspose.Cells Cloud SDK for Android enables you to easily open and save a multitude of file formats. Some of the formats include XLS, XLSX, XLSB, XLSM, XLTX, XLTM, ODS, Tab delimited, CSV, TSV, TXT, PDF, SpreadsheetML, HTML and MHTML. The Office Open XML (OOXML) is a container format for several specialized XML-based markup languages. OOXML SpreadsheetML documents mostly come as XLSX files, which are ZIP packages. In addition to XLSX format, Aspose.Cells Cloud SDK for Android also offers extensive support for SpreadsheetML documents. For conversion purposes, the SDK offers the capabilities to render the output in either of the above formats or exclusively generate the output in PDF, PDF/A, XPS, JPEG, PNG, BMP, SVG, TIFF and EMF file formats. Aspose.Cells Cloud SDK for Android provides a complete control over spreadsheets and the data inside them. The Excel cloud SDK enables the developers to perform operations like managing multiple worksheets, creating spreadsheet contents and styles from scratch, importing data onto the worksheets from different data sources, adding common and complex Mathematical, Financial and Text formulas, manipulation of charts, pictures, comments, drawing objects. It also helps you to create formulas and make sophisticated calculations based on user input or external data sources. You may use it to work with individual cells in a spreadsheet, add comments, apply validation rules and manage hyperlinks & pictures. The SDK also allows manipulating all aspects of the spreadsheets including worksheets, rows, columns, cells, text, data, images, links, comments, charts and many more. Aspose.Cells Cloud SDK for Android puts all these features at your fingertips, through a cloud-based interface. 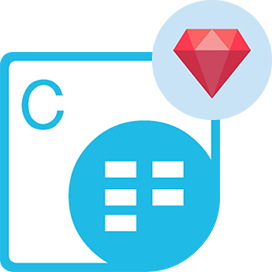 Aspose.Cells Cloud SDK for Android gives you complete freedom and flexibility to furnish your spreadsheets with all kinds of visual effects. The SDK allows you to apply different fonts with attributes, cell styles (alignment, indentation, rotation, borders, shading and coloring, protection, text wrapping and shrinking) and all types of number formats. Similarly, charts and graphics are visually appealing and can give your spreadsheet a professional look. 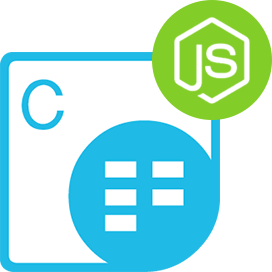 Aspose.Cells Cloud SDK for Android provides a comprehensive support for creating and manipulating all of the standard and custom chart types. Moreover, you may add different types of drawing objects, such as comments, pictures, OLE objects, shapes and controls to the cells. 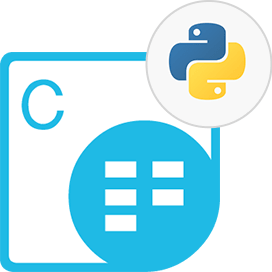 Aspose.Cells Cloud SDK for Android llows you to manipulate spreadsheet data including text, numeric or alphanumeric with the help of simple methods. You can add, modify or remove data from cells as well as add and calculating formulas in a worksheet cell to get the resultant value. It also provides the capabilities to effectively summarize and display the data. A Pivot Table can help you quickly summarize the flat data and to get the desired information according to your needs. 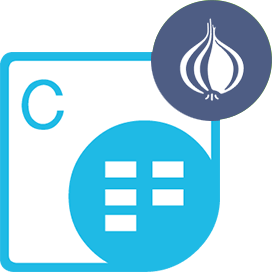 Aspose.Cells Cloud SDK for Android allows you to dynamically create Pivot Tables and Pivot Charts. You can dynamically change the source data of a Pivot Table and refresh it. Moreover, Aspose.Cells Cloud SDK for Android offers Smart Markers which is a great feature to populate worksheets based on some data source and to create visually effective reports. 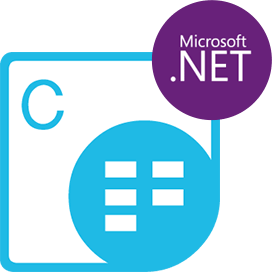 Aspose.Cells Cloud SDK for Android has its own rendering engine specially designed for rendering & printing with highest of fidelity to the Microsoft Excel. It offers distinctive features such as rendering Excel spreadsheets, Charts, AutoShapes and OleObjects to most commonly used image formats such as JPG, BMP, GIF, PNG etc while ensuring accuracy and precision, and as a result, majority of conversions will be indistinguishable from the original Spreadsheet files. Along with conversion feature, it also provides the feature of printing worksheets to any connected physical printer. The process is flexible thus allowing you to choose a number of options, such as controlling the resultant image dimensions when rendering worksheets & charts to images. Why Aspose.Cells Cloud SDK for Android ?